A couple of months ago I went to The Press Tent blogger event and got to meet the two lovely ladies behind the brand Twinface. I fell totally in love with their gorgeous display and their range of jewellery and have been obsessed ever since. 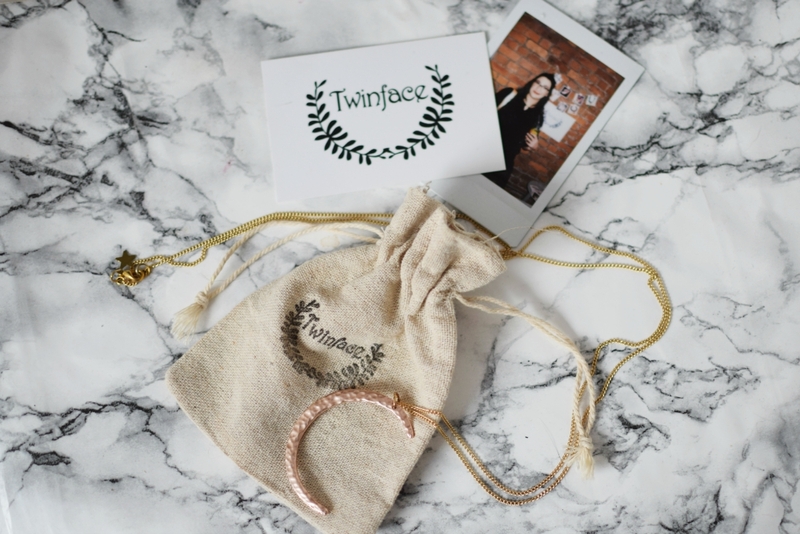 Run by twins Emma and Jennifer, Twinface is filled with beautiful necklaces, bracelets and rings. Think lots of gold and simple shapes with a bohemian twist. Basically, everything I love! After being unable to take my eyes off it at the event, I’ve been wearing the Hammered Moon Necklace* all the time since I got it. The simplicity of the pendant, along with the long length chain makes it go with absolutely everything and I find myself reaching for it with almost every outfit- just like this one! 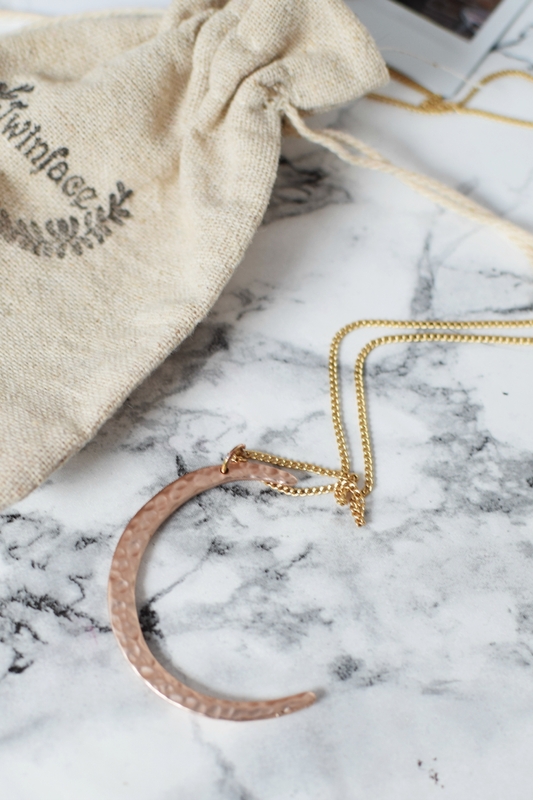 I have fallen in love with pretty much every single piece on the site- at the moment, my favourites are the gold triangle and coin necklace and the rose quartz ring. Also this jade and gold pendant has totally stolen my heart! I love knowing that every piece is made by hand by the twins (in Manchester nonetheless!) and that any bit sI pick up help support a great small business. If you are looking for the kind of jewellery that is classic without being boring, that will go with everything without ever going out of style, these are your gals, Go check them out and give them a little love on twitter and instagram! You won’t be disappointed!